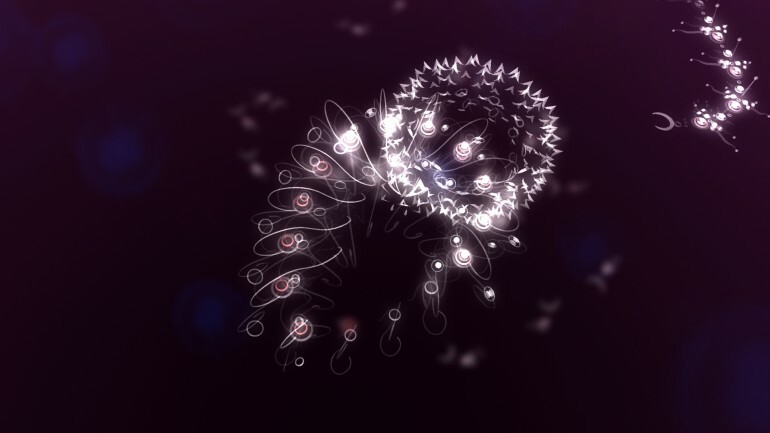 “flOw” is a game about piloting an aquatic organism through a surreal biosphere where players consume other organisms, evolve, and advance their organisms to the abyss. As part of Jenova Chen’s thesis research, “flow” inherits an embedded design of active DDA (dynamic difficulty adjustment), players with differing skill levels can intuitively customize their experiences in the zone and enjoy the game at their own pace. “Addicting” is the most common word its fans use to describe it. During the first two weeks after “flow” was released online, it attracted more than 350,000 downloads. Up till today, “flow” has attracted more than 4,000,000 downloads. One of the first-generation videogame design graduates from USC School of Cinematic Arts, creator behind the multi award-winning student game Cloud and flOw, co-founder of thatgamecompany, Jenova Chen is dedicated to expanding the emotional spectrum of videogames and making them available for a much wider audience. Born and raised in Shanghai, China, Jenova ventured to the US in 2003. One of his greatest dreams is to bring the best messages to the videogame world. Like what Hayao Miyazaki did to anime, Jenova wants to be one of the heroes who can turn videogames into a form of art and play that can be appreciated and enjoyed by every human being.